90 % Tempranillo, 5 % Garnacha, 5 % Mazuelo. Made with our best grapes, selected from our highest vineyards with an age of over 50 years. These vines produce an average of 3.000 Kg of grapes per hectare. The time that the wine spends in French oak barrels varies according to the characteristics of the harvest. The wine remains there for long enough to achieve a perfect fruit-oak balance (18 months minimum). The wine evolution is completed by a long stay in the bottle (16 months minimum). The result of this careful grape selection and painstaking elaboration is a wine with soul and its own personality. 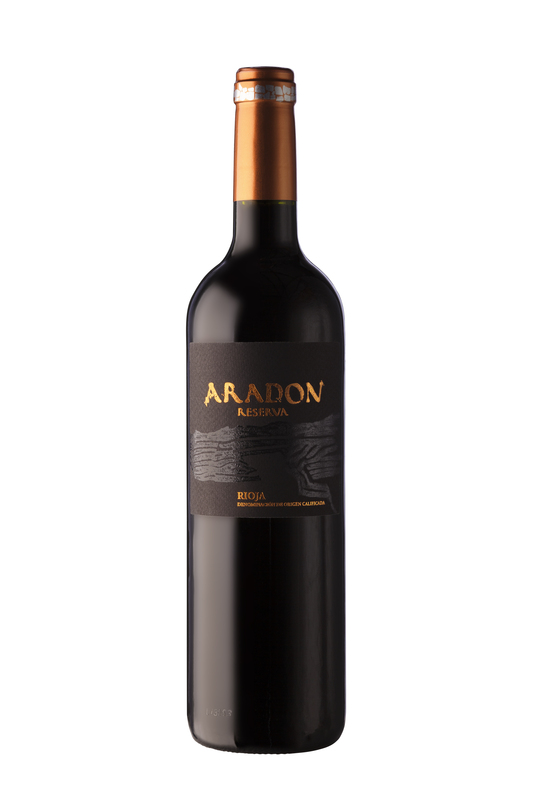 Aradón Reserva has a high intensity, dark red cherry colour. On the nose, enveloping, toasted, smoked and spicy aromas appear in harmony with aromas reminiscent of black fruits. On the palate, the wine is subtle with soft and silky tannins. Then the flavours develop revealing a long-lived and elegant wine.